Today I get to share an interview with the very talented YA author Jennifer Longo! Bio from the book jacket: Jennifer Longo was a ballerina from ages eight to eighteen, until she eventually (reluctantly) admitted her talent for writing exceeded her talent for dance. The author of SIX FEET OVER IT, she holds an MFA in Writing for Theater from Humboldt State University, where her obsessive love of Antarctica produced her thesis play about Antarctica's Age of Exploration. Jennifer lives in Seattle with her husband and daughter and writes about writing at jenlongo.com. 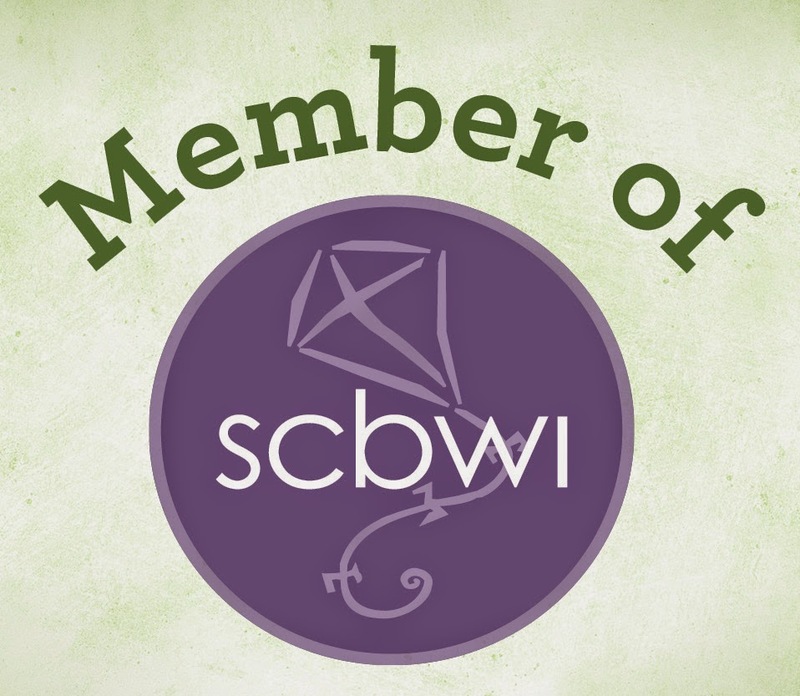 I met Jen at an SCBWI Western Washington conference two or three years ago, and we became friends. She's so energetic, funny, and doggone nice, you can't help but like her! As soon as I read the premise of her novel, UP TO THIS POINTE, I wanted to read the book. I expected to enjoy it, so I pre-ordered it before it was published. Then I read it. Oh my gosh, people, I was blown away! UP TO THIS POINTE is seriously squee-worthy. I absolutely love it. Love, love, love. It's one of those special books you can't put down because it's great any way you slice it. Jen has a killer voice, her characters are three-dimensional and lovable, her setting is beautiful and totally unique (Hello? Half the book takes place in Antarctica! ), and her story is compelling, full of heart, and literally laugh-out-loud funny. It's sooo good. Harper Scott is a dancer. She and her best friend, Kate, have one goal: becoming professional ballerinas. But while Kate is a naturally gifted dancer, Harper has had to fight for every step. And now it's make-it-or-break-it time: if their auditions go wrong, their dreams are over. Harper won't let anything--or anyone--get in her way, not even the boy she and Kate are both drawn to. Harper may not be a natural, but she is a Scott. She's related to Robert Falcon Scott, the daring explorer who died racing to the South Pole. So when Harper's life takes an unexpected turn, she finagles (read: lies) her way to the icy dark of McMurdo Station . . . in Antarctica. Extreme, but also somehow fitting--apparently, she has always been in the dark, dancing on ice this whole time. And no one warned her. Not her family, not her best friend, not even the boy who has somehow found a way into her heart. I was so happy to be able to attend Jen's Eagle Harbor Book Company reading. Shall we look at some reviews? Yes, we shall! 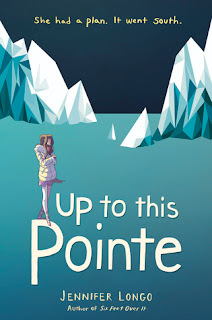 "A stunning love letter to ballet and San Francisco, Jennifer Longo's (SIX FEET OVER IT) quirky sophomore novel, UP TO THIS POINTE, is the perfect meld of adorable and heart-wrenching." "The book . . . savvy and detailed about the Antarctic and life on the ice, with McMurdo's combination of industrial site and summer camp vividly conveyed . . . Fans of McCaughrean's THE WHITE DARKNESS will definitely want a look; even determinedly frost-free readers, though, will sympathize with Harper's upheaval at failing to become one of the chosen few." "Incisively written. Longo makes it easy to commiserate with Harper as she tries to move past disappointment and envision a new path forward." "A moving love letter to dance, dreams, and San Francisco, and a look at how embracing personal passion leads to fulfillment (even if it wasn't part of the plan)." DS: After becoming a playwright, how difficult or easy was it to switch to novel writing? JL: I have always, always written, all my life. But I've always been embarrassed about it. Real writers, of the books and plays I spent my life reading, were the people who should write, not me. I majored in acting in college as it was still storytelling, but came naturally to me and didn't make me feel like a fraud. I love acting and I earned an MA, all while jealously watching the Playwriting majors rehearse their scripts. I acted for them and wanted badly to re-write a lot of them (because I'm kind of a jerk that way). At last, I got the nerve to give a writing sample to my advisor and asked her if I could switch majors. She let me, and I graduated with an MFA in Playwriting. Once out of school I wrote plays and had a few produced in small theatres and universities, and I interned at San Francisco's Magic Theatre. But I still secretly wondered if I could stretch and expand the plays I'd written into novel form. My daughter turned three and started pre-school, so I had a few spare hours per week, and that's when I got over my self-doubt and re-wrote my first play as my first novel. I drafted it during NaNoWriMo. There's a reason there aren't a ton of successful playwrights turned novelists, or vice versa--the two forms are so disparate in structure, in their mechanics. A novelist has a huge toolbox to work with, the playwright's tools are more refined. Read a play script, you'll see nothing but dialogue. Directors hate stage directions--the story must happen with spoken words, and sometimes music, and what the actors are doing right in front of the audience, in real time. I stumbled my way through my novel, relying on way too much dialogue, theatrical pacing, lack of plot, foregoing the use of exposition and internal monologue--it was a hot mess of a book. But an agent saw the story in there somehow, and she guided me through about seven hundred revisions. Then when we sold to Random House, my amazing editor further guided what was essentially a really long play into more of a dramatic novel. The one saving grace I had? Voice. A unique voice that was evident from the first page. That got me out of the slush pile, even with the play-pretending-to-be-a-book-ness of it. My second novel was a bit easier to navigate, but even now, as we revise my forthcoming book, my agent said to me last week, "You have to divide the story into chapters! Not acts!" Clearly I still have a lot to learn. Writing novels makes me want to write more plays. Good grief. DS: The story and characters in UP TO THIS POINTE are so full and rich, this project must have required piles of research. The author's note in the book says you took ballet from ages eight to eighteen, which explains the ballet knowledge, but you also have details about various sciences, Antarctica, and oodles of other things that make the story feel absolutely believable and real. How long did it take you to do your research and write the book? JL: Well, thank you! UP TO THIS POINTE began, as my first book SIX FEET OVER IT did, as a play. In 1998 I was researching a play about photography and on the Kodak website, there was this huge collection of photographs by Antarctic photographer Frank Hurley. I was instantly obsessed with the Age of Exploration of Antarctica, with the explorers and their attempts to reach the South Pole. I read every book I could get my hands on about all of them. I applied to the NSF to go to The Ice but was turned down twice, which broke my heart! So there were years of Antarctica research for the play, then a friend of mine got all nuts for Antarctica and he wintered over at McMurdo Station twice--I got a wealth of details from him. And now, researching for the writing of the book the past few years, there are so many new ways to connect with people and places--there are a ton of really beautiful documentaries about life on The Ice, and blogs and twitter feeds of current residents, so all of that helped. Sadly, so much research and really fascinating facts must be abandoned in the final draft as this is, in the end, a work of fiction, and the narrative must move forward. Too many facts and geographical and scientific descriptions can really bog a story down, but all the research is never wasted--it goes toward building the world, so it's incredibly important--even if it's distilled to a few tent pole facts and just the cold, isolated feeling remains. It all matters. In the book I've got an appendix with a few of my favorite research resources, which I hope people look into if their curiosity about ballet and The Ice is piqued. DS: Both San Francisco and Antarctica, through Harper's eyes, are so alive, fleshed out, and beautiful. Do you love San Francisco as much as Harper does? Do you still hope to visit Antarctica? JL: I am determined to go to Antarctica one day! In the meantime, I watch documentaries about life on The Ice, and I dream. San Francisco was my home since I grew up and got the hell out of the town I was raised in--it is a phoenix of a city, it is spectacularly beautiful, and all the best things in my life happened in the twenty years while I lived there; I married my husband, graduated from college, had my first real teaching jobs, met and adopted my daughter, had my first book published--those things are all intrinsically bound to the ocean beaches and neighborhoods of that city, and nothing can ever take its place in my heart. A few reviewers have called UP TO THIS POINTE a love letter to San Francisco, and it absolutely is. DS: Do you have any advice for aspiring authors? JL: I do! It's this: Write. Don't worry about publishing, or getting published, or what other people are doing, or writing what you think is on trend right now, write what you are compelled to write. Don't talk about it a whole bunch, don't feel like you need to spend a bunch of money you don't have on conferences or retreats, just write. Get it done, and see what you think. Revise. Read. Then write some more. That's what I think. The rest is separate and has nothing to do with the actual writing. Just write--that's how you'll get better. That's how you'll find your voice. Write. Wow, right?! I love how thoughtful and interesting Jennifer's answers are, and I can't help feeling pumped up over her advice!